…The concept of using AI at the library was already part of a strategic plan. But it didn’t start to become reality until Director of Library Services Shari Henry had an epiphany. 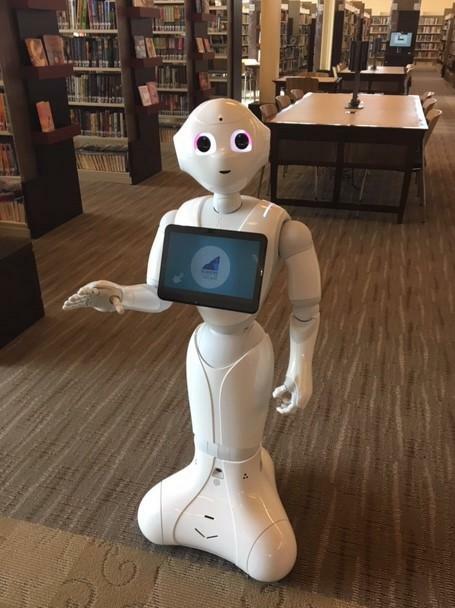 Administrators then reached out to RobotLAB, which connects robots with K-thru-12 classrooms, to adapt Pepper to the library system.